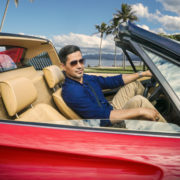 KSiteTV’s Craig Byrne and Shilo Adams look over the CBS 2018 schedule, which includes two new comedies, a Murphy Brown revival, and a Magnum P.I. reboot. 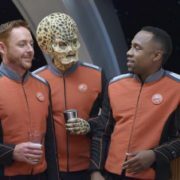 KSiteTV’s Craig Byrne and Shilo Adams continue their 2018 upfronts coverage by discussing CBS and forecasting their fall schedule. CBS has announced season finale plans and spoilers for all of their May 2018 season finales. 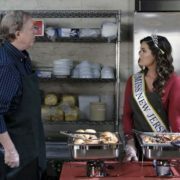 CBS has given a second season to freshman dramas SEAL Team and SWAT. 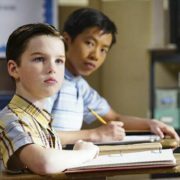 The two join Young Sheldon as the sole CBS freshmen to have been renewed for next season. 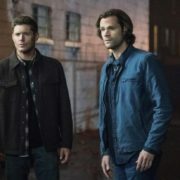 TV tonight includes new episodes of Arrow, Supernatural, Mom, Life in Pieces, Young Sheldon, and SWAT. Happy Thanksgiving!